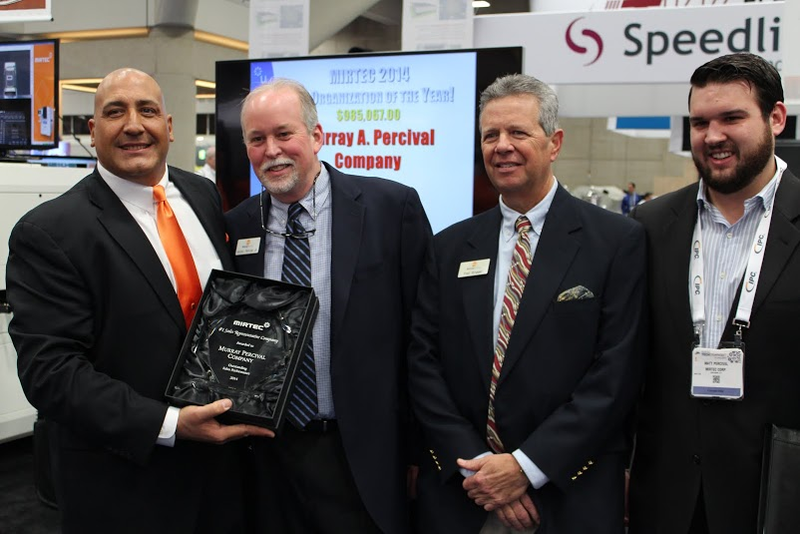 MIRTEC, “The Global Leader in Inspection Technology,” for second year running has named Murray Percival Company ‘MIRTEC Manufacturers’ Representative Organization of the Year 2014’. Brian D’Amico, President of MIRTEC Corp., presented the award to us during the recent IPC APEX EXPO in San Diego, CA. More than 55 years ago, Murray Percival was a pioneer servicing an emerging industry, one that has become a key component in the worldwide market of today’s manufactured goods. The Murray Percival Company is now a leading supplier to the Midwest’s electronics industry and offers literally thousands of products. The Murray Percival Company represents MIRTEC’s award-winning automated inspection systems throughout the Midwest.